The World Health Report (WHR) is a series of reports produced regularly by the World Health Organization (WHO). First published in 1995, the World Health Report is WHO's leading publication. Published annually or biennially in multiple languages, each report includes an expert assessment of a specific global health topic, relating to all countries that are Member States of the organization. The main purpose of the WHR is to provide policymakers, donor agencies, international organizations and others with the information they need to help them make appropriate health policy and funding decisions. However, the report is also accessible to a wider audience, such as universities, journalists and the public at large. It is expected that anyone, with a professional or personal interest in international health issues, will be able to read and take use of it. Each WHR addresses a different theme. The following is a list of reports and themes. The World Health Report 2013 focuses on the importance of research in advancing progress towards universal health care coverage – in other words, full access to high-quality services for prevention, treatment and financial risk protection. The report advocates for increased international and national investment in research aimed specifically at improving coverage of health services within and between countries. Examples of required research include medical research, or investigating the causes of ill-health and the interventions needed to improve health and wellbeing, as well as health services research, focusing on how to expand service coverage and reduce inequities in coverage. The World Health Report 2010 focused on the topic of universal health care coverage, and how countries can modify their financing systems to move towards this goal. The report provided an action agenda for countries at all stages of development, and proposed ways that the international community can better support efforts in low-income countries to achieve universal coverage and improve population health outcomes. The theme of the World Health Report 2008 was the renewal of primary health care, and the need for health systems to respond better and faster to the health care challenges of a changing world. The main concern of the World Health Report 2007 was how the world is at increasing risk of disease outbreaks, epidemics, industrial accidents, natural disasters and other health emergencies which can rapidly become threats to global public health security. The report described how the new International Health Regulations help countries to work together to identify risks and act to contain and control them. The World Health Report 2006 (WHR2006) highlighted the estimated shortage of almost 4.3 million doctors, nurses, midwives, and other health human resources worldwide, calling the situation a "global health workforce crisis". The report laid out a ten-year action plan for building national health workforces through better training, recruitment and management processes. The World Health Report 2005 focused on the fact that almost 11 million children under five years of age die annually from causes that are largely preventable, and another half a million women die in pregnancy, childbirth or soon after. The report said that reducing this toll in line with the Millennium Development Goals would depend largely on every mother and every child having the right to access to health care from pregnancy through childbirth, the neonatal period and childhood. 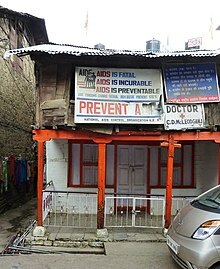 The topic of the World Health Report 2004 was the global HIV/AIDS pandemic. The World health report 2003 examined the global health situation and some of the major threats to health. The report advocated that major improvements in health for all were within reach, and that progress depended on collaboration among governments, international institutions, the private sector and civil society to build stronger health systems. The World health report 2002 described the amount of disease, disability and death in the world that could be attributed to a selected number of the most important risks to human health. It projected how much this burden could lowered in the next 20 years if the same risk factors were reduced. The largely neglected area of mental health was the core focus of the World health report 2001. ^ World Health Organization: Main messages from World health report 2013: Research for universal health coverage. Last update 19 August 2013. Accessed 26 August 2013. ^ World Health Organization: The world health report 2000 - Health systems: improving performance."